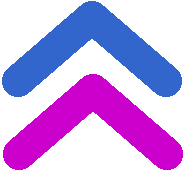 Established in 1982 by Michel BEIGBEDER and now part of the Solent Group, Philog is an independent entrepreneurial company. Finally, Philog must, by the ever on-going training of its employees, anticipate the technological changes that will lead to the future needs of its customers. Philog's head management is composed of Philippe BENON, Antoine MAUFERON and Guillaume GRUSSENMEYER. Christelle CAMPOS, Alexis IBIINGA and Yoann LAMY are in charge of Philog's main departments. Graduated from an engineer school, Christelle CAMPOS has been Quality Manager since 1993. She joined Philog in November 2000 to finalize the ISO 9001 certification process. Since 2001, she daily ensures a dynamics of continuous improvement of Philog services, a dynamics that she also applies internally as Administrative and Financial Manager since 2003. In March 2017, she graduated from the Nanterre University (Paris X) where she got a Master "Law, Economics and Management - Mention : Management of SME & Entrepreneurship". 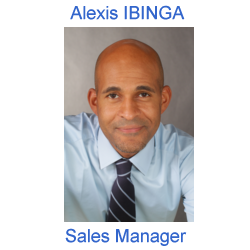 Graduated from the International Trade Academy, Alexis IBINGA began his career in 1997 as a sales engineer at Action Soft, a software systems editing company. 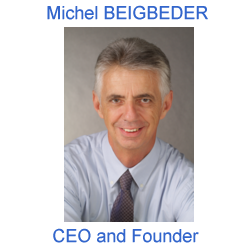 In September 2000, he joined Philog as a sales engineer in order to develop the technical assistance sales pole. Sales Manager since September 2004, Alexis is in charge of the entire trade and marketing policy of the company. 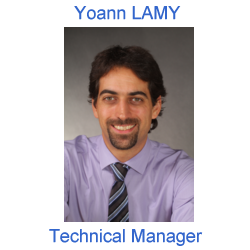 Graduated from the Orsay University (Paris XI) where he got a DESS and finished valedictorian in 1998, Yoann LAMY began his career at Philog as Windows drivers&apos; developer (including USB), area in which he quickly developed a recognized expertise. After serving for 10 years as a Project Manager and technical expert of turnkey developments, Yoann became Technical Manager in 2010. •	Develop a skilled-and-cohesive multidisciplinary team to provide consistent and sustainable solutions to our customers. These three values still manage the action of Philog today. 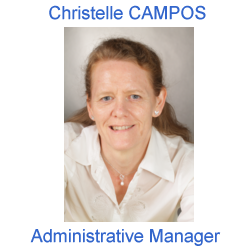 Graduated from an engineer school, Christelle CAMPOS has been Quality Manager since 1993. She joined Philog in November 2000 to finalize the ISO 9001 certification process. Since 2001, she daily ensures a dynamics of continuous improvement of Philog services, a dynamics that she also applies internally as Administrative and Financial Manager. In the business for more than 35 years… What about joining? 2018: Following Michel BEIGBEDER's retirement, Philog joins the Solent group. 2017: Renewal of Philog's "Agrément Impôt recherche" for 2017 till 2021. 2016: Renewal of Philog's ISO 9001 Certification. 2003: Patent licensing Catch'N do. 2002: Acquisition of SageX (IP and non IP network management software). 2001: First ISO 9001 implementation which validates the Quality Mangement Process/System enforced by Philog. 1999: Philog becomes active member of the Syntec-Informatique. 1998: Windows® CE Authorized System Integrator label (Philog is one of the first French companies to which Microsoft certifies the capacity to provide services to Industries using their platforms and solutions). 1994: Closure of a contract with Microsoft® Consulting Services (MCS).